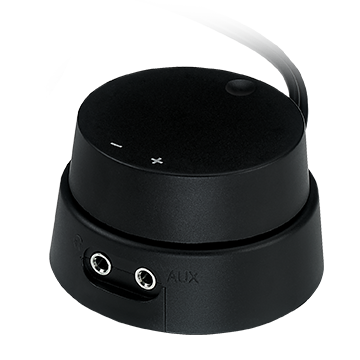 Immerse in crystal clear audio accompanied by powerful bass that fills the entire room. 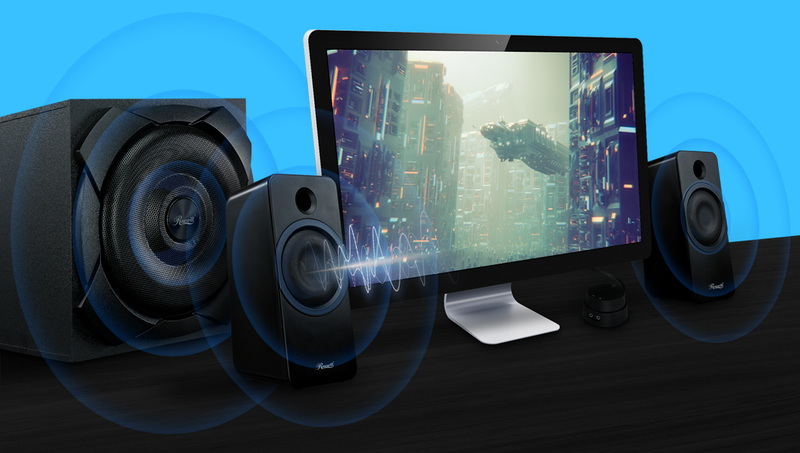 Simply plug the wired bookshelf speakers into the subwoofer, connect via Bluetooth and enjoy an impressive listening experience.  Wirelessly pair the speaker unit with a Bluetooth capable device, then enjoy movies, games, music, skip tracks and adjust volume with wireless convenience. 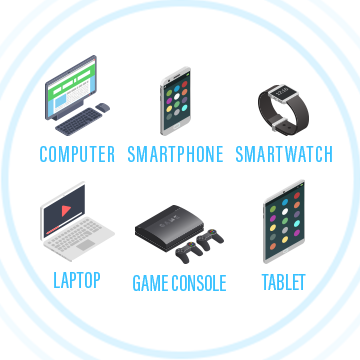 Wirelessly connect via Bluetooth or plug and play with 3.5mm AUX and RCA input to smart phones, tablets, computers, laptops, gaming systems, home theaters and more. 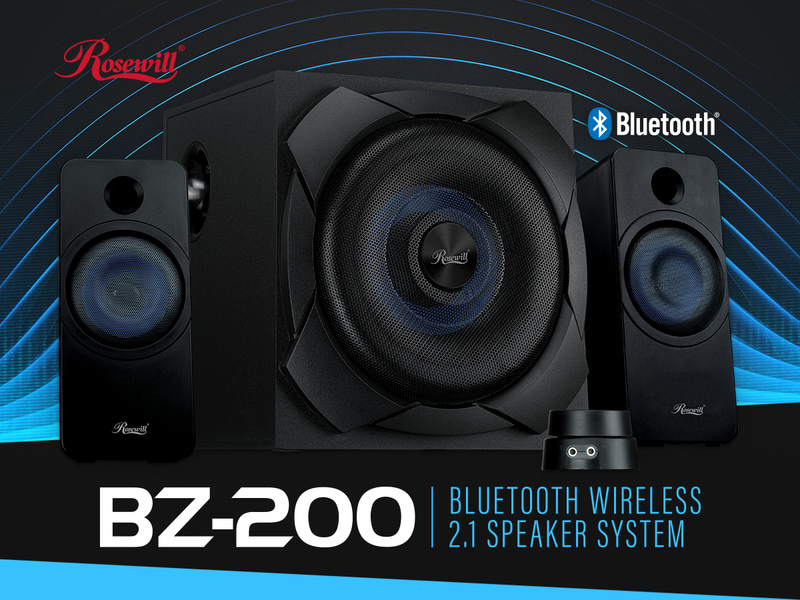 Equipped with a wired control pod for convenient volume adjustment of connected devices without the need to reach behind subwoofer enclosure. 16.89" x 10.83" x 13.66"